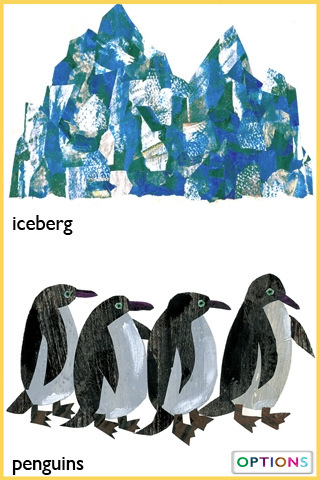 The artwork of Eric Carle is instantly recognisable. 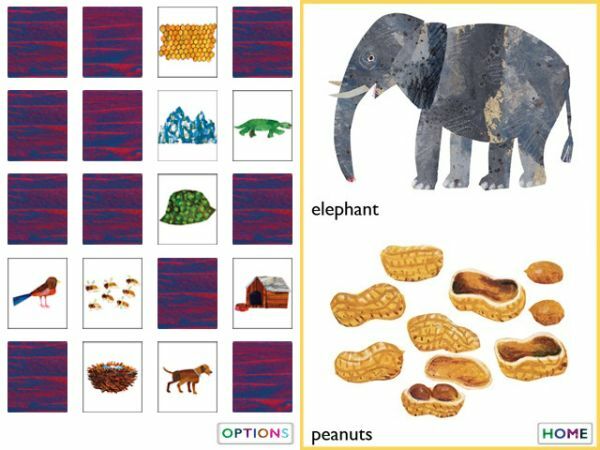 Not only is The Very Hungry Caterpillar essential reading for pre-schoolers but other classics such as Brown Bear, Brown Bear, What Do You See? and Polar Bear, Polar Bear, What Do You Hear? show off Carle’s distinctive style of painting. Carle’s vibrant illustrations can now be enjoyed on your iPhone or iPad. My Very First App follows the same style as Carle’s best-selling My Very First books. 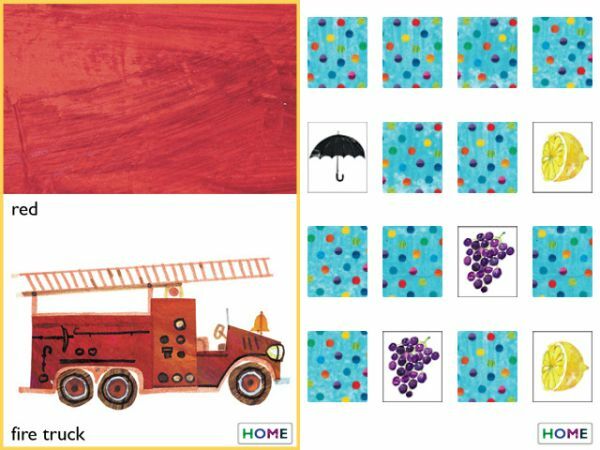 Simple, colourful memory and matching games for preschoolers are divided into three different levels (easy, medium and hard) – match colours, objects or animals with their homes. It’s worth noting that the different levels of play are extremely well tailored to the different levels of difficulty. For example, for the game of matching animals with their homes, the screen is divided in half for the Easy mode and your child simply swipes the lower or upper halves to find a match (such as the penguins with the iceberg). The Medium and Hard modes are based on the game of Memory, where children are presented with a set of cards face down and must find pairs or matches. Other features include a loop mode for endless play, the option to play in Spanish and a ‘tap and hold’ mode that stops little fingers accidentally exiting the game. My Very First App is $2.49 and is available from iTunes. The app comes with Colours and Animal Homes however additional games such as Numbers, Shapes, Food, and Animal Sounds can be added at a cost of $1.19 each.